Phillip Kotanidis, CHRO at Michael Garron Hospital, is no stranger to HR prestige. His team was nominated for a 2017 Canadian HR Award for Team of the Year, whilst they also secured one of Canada’s top ten culture awards two years in a row. We caught up with him to ask his opinions on the future of employment in Ontario’s healthcare market, technology in the people function, and the life changing impact of experiencing his ‘pivotal moment’. 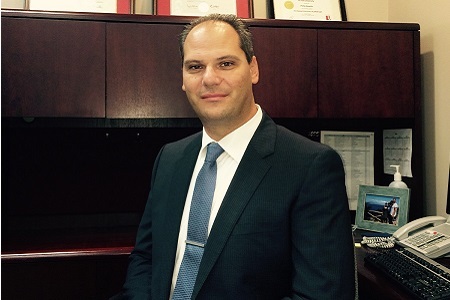 “Asides from the HR team being nominated as the finalist in the HR awards last year, which was very exciting, I would say my pivotal moment happened a lot earlier than that,” Kotanidis told HRD Canada. “It was actually when I met one of my greatest mentors, really early on in my career at University Health Network. He worked at University Health Network too, as a manager – but I wasn’t reporting directly to him. Having that resource allowed me to greatly accelerate my learning, but in addition to just expanding my knowledge in HR, it empowered me, made me confident in myself and my abilities even at a young age. Kotanidis explained how the province has an aging patient population, meaning there’s higher demand for the people Michael Garron Hospital serves.